The power of the press is still very strong. Even as people glue themselves to the Internet and TV, nothing stays locked in our memory like the images of the press. 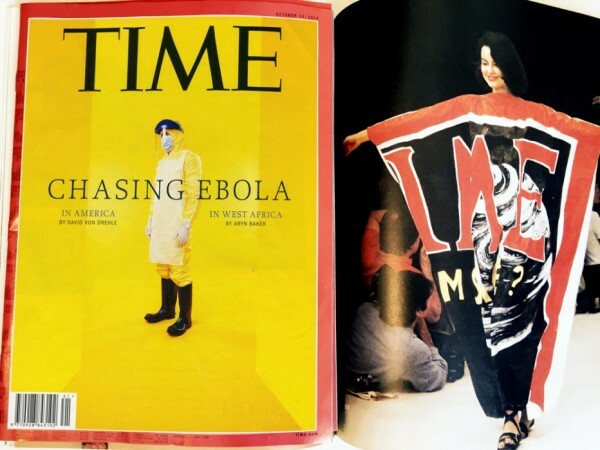 The new cover of Time magazine this week, “Chasing Ebola” makes that point. Ebola crossing the sea, and soon to be with us. The bright yellow of the cover, now becomes the color of this worst plague in human history. And bright colors used to be the colors of optimism! Here, from 1982, an homage to Time magazine, when we were living in a world of positive expectation for the future and color represented energy and life. Happiness. Functionality finds happiness. Here, transparent plastic pockets are filled with colorful feathers. It was winter 1976, and Jean Charles de Castelbajac with humor and lightness was breathing fresh air into fashion with primary colors and new innovative materials. And comfort. 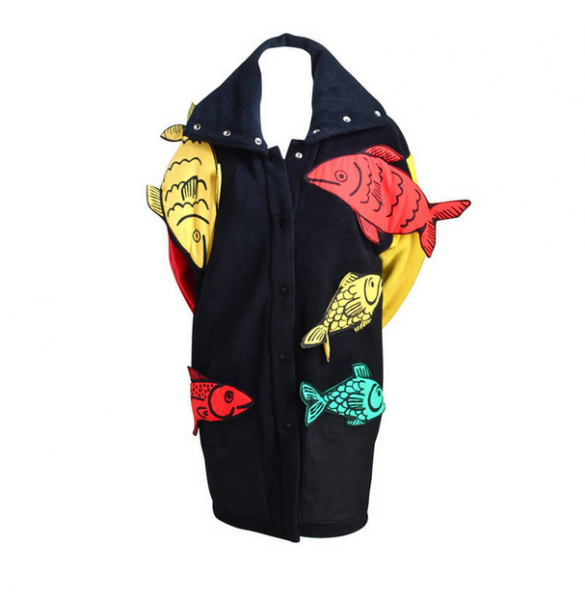 Castelbajac felt clothes should make you happy, as happy as if you were home. A deep message – home, family, values, happiness. Optimism. A positive future. 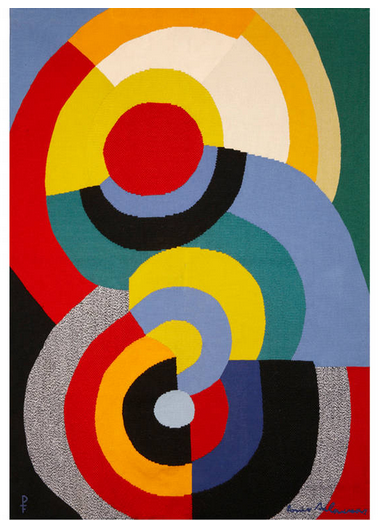 This so much energizes Sonia Delaunay’s work. She developed her color theory very strongly. But, to my great delight, she also did a good body of work in black and white…interesting, because it is so positive. you cannot think about in a museum! so much to our society in this world of fashion – and beyond fashion. 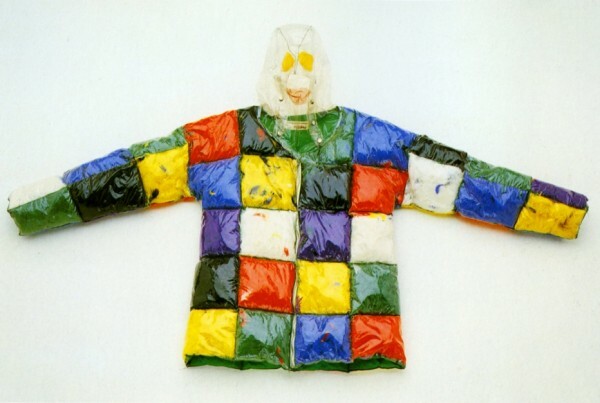 Here, a 3 D fish coat from the 80’s. Future. A dream to rebuild the Universe. Light, movement, speed. 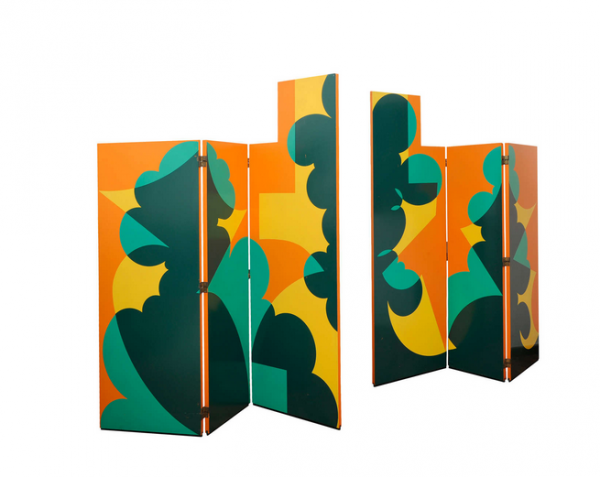 Here a screen by Balla, 1971, Colors of optimism painted on wood. Timeless pure color. 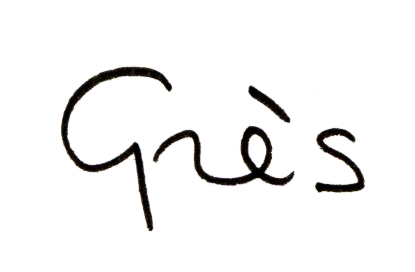 Grès was sculpting women’s bodies with her creations. 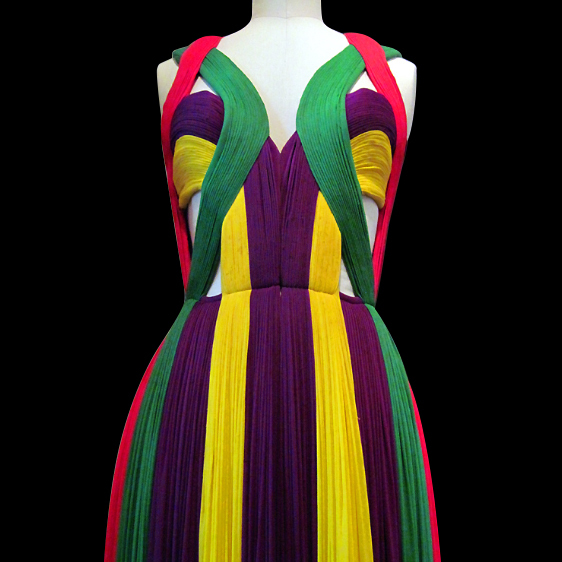 Here, a dress of jersey and four vibrant colors, as it was shown at the Musee Bourdelle in Paris. Pop. 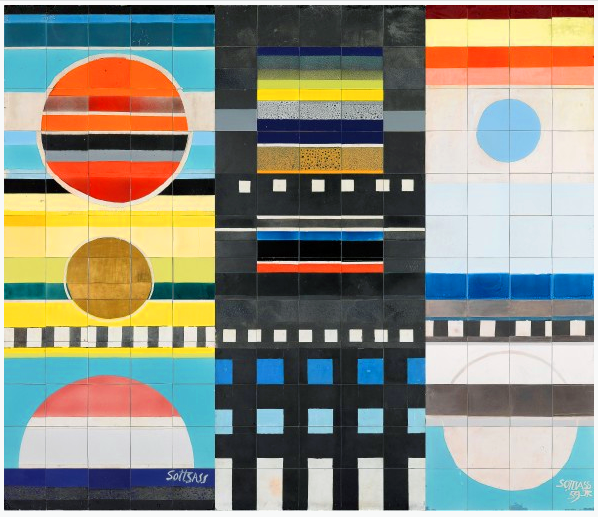 The World Goes Pop is the name of an exhibition coming to the Tate Modern next year, showing the alternative roots of Pop, from Latin America to Asia. The colors of optimism, considered an Anglo American movement of the 60’s and 70’s was actually happening all across the globe. Here, Ushio Shinohara, Japan, 1966. Life. Since starting at Vogue, I have been collecting Beaton’s colorful – both inside and outside – diaries from the 60’s and the 70’s. 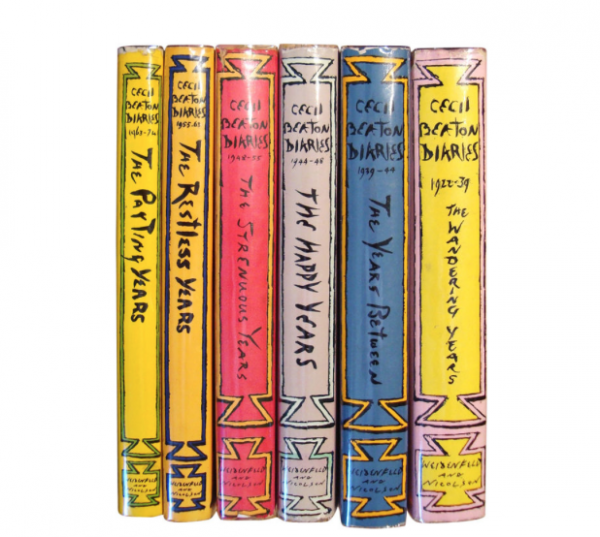 Published during his life, to see them all together on sale, a complete set of six volumes, has given me the wish to own a second beautiful set, all arriving together in their lively colorful jackets. The joy of happy dreaming!